GIVEAWAYS: Winning WOW! 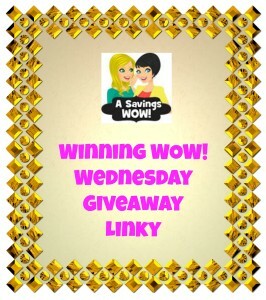 Wednesday Giveaway Linky 07/24/13 | A Savings WOW! The linky isn’t showing up. Thanks for letting us know Shana! It’s been fixed.